You don't need to go back to school to revamp your resume and get your next promotion or raise. You just need access to some of the best courses for those in tech and creative industries. Get a year-long subscription to Pluralsight for just $299, a savings of 40%. Pluralsight offers a library of over 4,500 courses in software development, IT, data, business, design, manufacturing, architecture, and more. 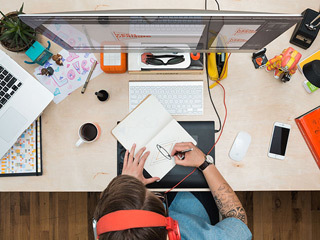 Whether you're looking for something that'll advance your career or want to take a hobby to the next level, you're likely to find the perfect course to do just that at Pluralsight-especially considering they add new courses every day...and you get access to all of them. Learn on the go or at home-courses can be downloaded or streamed an on computer, tablet, or smartphone. Get a year-long subscription to Pluralsight for just $299 at Escapist Deals!